Edited by K8 Hardy, Dorothée Perret. Text by Cheryl Donegan, K8 Hardy, John Kelsey, Elisabeth Sussman, Oscar Tuazon. 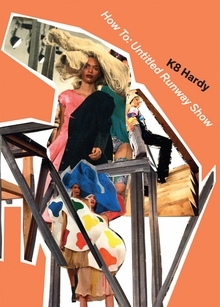 How To: Untitled Runway Show is an artist’s book that presents K8 Hardy’s performance Untitled Runway Show, created for the 2012 Whitney Biennial. For this work, Hardy orchestrated a live fashion show performance on the fourth floor of the Breuer building that rivaled the sort of presentations made during a Paris or New York fashion week. How To follows the apparatus of professional fashion and is organized around three sections: The Show (lookbook), Backstage and The Campaign. For each of these sections, Hardy specifically created a new series of images. Also included are essays by five contributors, many of whom were involved themselves in the original performance. The variety of the writing in this book and the perspectives on the piece bring a fresh understanding and richness to Hardy’s incredible performance and unconventional work in general. Hardcover, 7.5 x 10.5 in. / 144 pgs / 68 color. 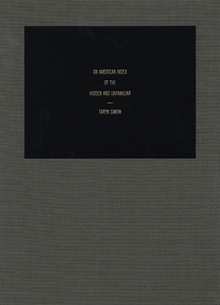 First published in 2008, and now commanding high prices second-hand, Taryn Simon’s An American Index of the Hidden and Unfamiliar reveals objects, sites and spaces that are integral to America’s foundation, mythology or daily functioning, but which remain inaccessible or unknown to a public audience. To make the more than 60 large-format photographs often required protracted negotiations before Simon was granted access to the sites. When circumstances permitted, she photographed with a large-format camera and careful lighting, emphatically not following the tradition of the journalistic snapshot. The photographs include radioactive containers in a storage facility for nuclear waste; the recreational facility of a high-security prison; the headquarters of the Ku Klux Klan with its Wizards, Night Hawks and Kleagles; a Scientology seminar room; MOUT, a facade city in Kentucky built as a training ground for urban warfare; the sealed-off halls of the CIA headquarters; a high-security research institute studying animal epidemics; and an operating room in which a Palestinian woman had her hymen (and thus her virginity) restored. Each image is accompanied by a brief text written by the artist, that precisely explains what is seen and why it is hidden or off-limits. Although An American Index of the Hidden and Unfamiliar forces us to confront the darker side of democratic society, it also conveys the fascination that attends the exploration of forbidden territories. Taryn Simon was born in New York in 1975. She has produced several books of photography and writing, including Contraband, The Innocents and A Living Man Declared Dead and Other Chapters. Other subjects documented by Simon include feuding families in Brazil, victims of genocide in Bosnia and the body double of Saddam Hussein’s son Uday. Hardcover, 10 x 13.5 in. / 152 pgs / 57 color. Text by Elisabeth Sussman, Doon Arbus, Jeff L. Rosenheim. 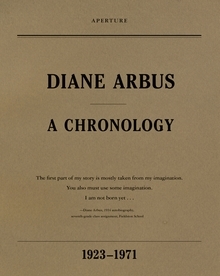 Diane Arbus: A Chronology is the closest thing possible to a contemporaneous diary by one of the most daring, influential and controversial artists of the twentieth century. Drawn primarily from Arbus' extensive correspondence with friends, family and colleagues, personal notebooks and other unpublished writings, this beautifully produced volume reveals the private thoughts and motivations of an artist whose astonishing vision derived from the courage to see things as they are and the grace to permit them simply to be. Further rounding out Arbus' life and work are exhaustively researched footnotes that amplify the entire chronology. A section at the end of the book provides biographies for 55 family members, friends and colleagues, from Marvin Israel and Lisette Model to Weegee and August Sander. 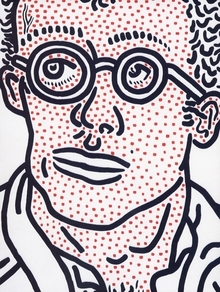 Describing the Chronology in Art in America, Leo Rubinfien noted that “Arbus... wrote as well as she photographed, and her letters, where she heard each nuance of her words, were gifts to the people who received them. Once one has been introduced to it, the beauty of her spirit permanently changes and deepens one's understanding of her pictures.” The texts in Diane Arbus: A Chronology originally appeared in Diane Arbus: Revelations. This volume makes this invaluable material available in an accessible, unique paperback edition for the very first time. Diane Arbus (1923-1971) revolutionized the terms of the art she practiced. Three volumes of her photographs have been published posthumously by Aperture and have remained continuously available. Paperback, 6.5 x 8 in. / 177 pgs. 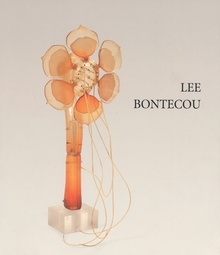 In her essay for this concise new catalogue of Lee Bontecou's early transparent vacuum-formed fish and flora sculptures and associated works on paper, the esteemed curator and art historian Elisabeth Sussman writes, "From a standpoint 40 years later, as sculptors everywhere seek to marry form, expression, observation, social context and modern materials in single objects and in groups of objects, or installations; when making materials function in individual, idiosyncratic, expressive ways is a mark of distinction; Bontecou's fish and plants of the late 1960s and early 1970s now appear highly prophetic." Bontecou's early summers in Nova Scotia imbued her with a lifelong fascination with nature and the sea. After studying at the Art Students League in New York (1952-55) and spending a year in Rome on a Fulbright Fellowship (1956-57), Bontecou settled in New York's Lower East Side, and then Soho. In the late 1960s, however, she began to spend part of each year in the mountains of rural Pennsylvania, where she immersed herself in an evocative inner world of natural forms derived from fish and plants. Using a vacuum-forming machine invented by an artist friend, Bontecou created the haunting, lightweight translucent sculptures gathered here. Paperback, 9 x 10.25 in. / 64 pgs / 33 color / 3 bw.